So, this actually happened in December I'm a little behind on anything not wedding related! It is very important though so I have to share! 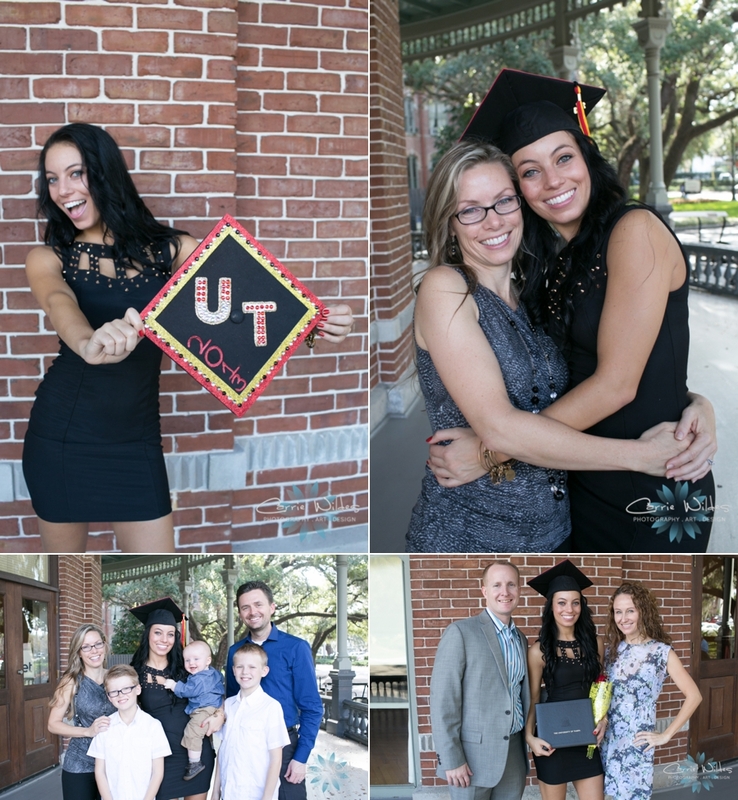 The beautiful and talented Sylense Labit graduated from University of Tampa on 12.14.13. I am SO proud of her, just like in my family, she is a first generation college graduate. We have also been planning for this day for the last almost 5 years. She made it through homework and exams along with crazy wedding seasons. I met Sylense when she was a senior in high school because her mom worked with my husband David. She's been with me and helped to build our brand and become an amazing photographer over the last 5 years. I was so looking forward to that day because she is now a full time employee and is taking on an even bigger role in what we do! Her aunt and uncle hosted her graduation party and her parents had a special surprise for her:-) It was one of the sweetest things ever! Here's to the next 50 years! :-) Love you!